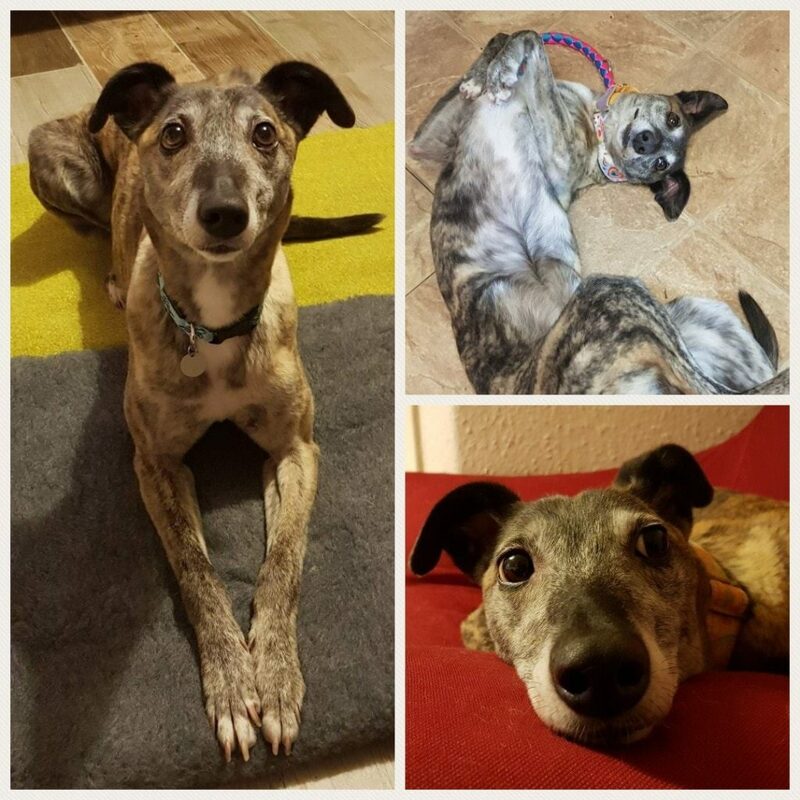 Willo is a 2-3 year old lurcher. She’s a friendly, sweet, playful and happy girl who is good with other dogs and fine around cats. She can be frightened when she’s handled so is looking for an experienced dog owner to adopt her. A quieter adult only home would be her preference. Willo is house trained, crate trained and lead trained. She loves her toys and loves her food. She’s a very obedient girl and loves to please her humans. She knows how to sit and would love to learn something new. Willo is a medium energy girl and would be happy with a brisk daily walk or a off lead run in a secure area. Willo has been spayed, fully vaccinated and microchipped. If you’re interested in adopting her or would like to find out more about her, please get in touch.